PokerStars has managed to secure the top spot in online poker traffic rankings in New Jersey within a week of its full-fledged launch. According to PokerScout an industry website, PokerStars has had an average of 170 cash game players in the past week with the highest being 441 players over a 24-hour period. The PokerStars website in New Jersey allows only residents of the state to participate and play against each other. The state is among the only three in United States that allows online gambling and prevents players from other jurisdictions in accessing the website due to the strict regulations of the online poker legislation in New Jersey. According to PokerScout, the WSOP/888 platform came in second with an average of 140 cash game players and a peak of 341 while Party Borgata NJ was third with an average of 95 and having a peak of 252. The fact that PokerStars has dominated the New Jersey online poker market comes as no surprise as PokerStars is the biggest online poker website in the world and has a global player database that is estimated to be over one million players accounting for 70 percent of the global online market. The online poker industry in New Jersey has struggled during the last 18 months as the collapse of the casino industry and the struggles of the New Jersey economy have impacted the state’s online poker industry. The New Jersey gaming commission had pinned a lot of hopes on the PokerStars launch as it expected the brand to revive the online poker market in the garden state. With the first weeks’ online traffic results; it appears that PokerStars is off to a good start. 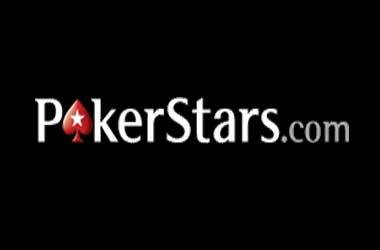 The triumph of PokerStars’ early success in New Jersey has been dampened by its parent company Amaya which has been in the news due to insider trading Amaya Inc CEO David Baazov was accused of five counts of insider trading earlier this week and was forced to take a leave of absence. Baazov, his brother and other key executives have all been accused of taking part in insider trading over a five year period as alleged by Canadian authorities. Baazov fought hard to get PokeStars into the New Jersey market after the brand was forced to exit the U.S. due to the infamous Black Friday scandal. Baazov has denied all allegations and decided to distance himself for now from the company.